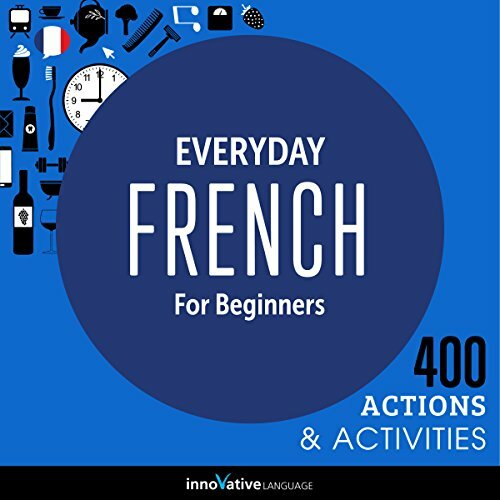 This audiobook is a new way to learn and speak a French fast. You get to learn useful vocabulary within the context. It is a practical guide to the most common activities. I have listened to this over and over again. I have slowed it down and enjoyed it even more. By the time I get to Paris, I believe I'll be able to string a few French words together well. I wish it wasn’t this short! I wish the woman would speak a little slower. Does not give much explanation. The words are said fast, and only repeated once. As someone who was once slightly fluent, and purchased this book as a refresher, this is not a book for beginners! Words and phrases this beginner will never use! This seems best for someone living in France with a basic knowledge of French already.